The Deco Collection comprises of six special colours created with a combination of traditional colouring techniques. The oak top layer is lightly brushed to form a relief of the natural grain. Lye is then hand applied to the oak surface which reacts with the natural acids in the wood and bleaches the surface preventing the oak from discolouring. The result if a textured surface to which layers of colour oil are applied to create deep lustred boards with a distinctive grain. 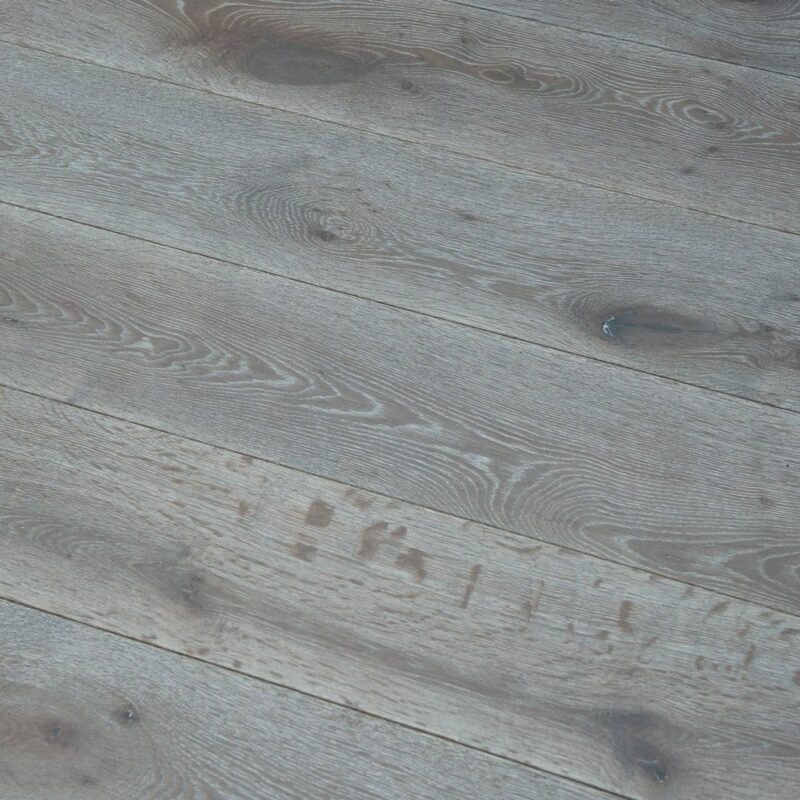 DC105 is a tongue and grooved board which can be installed as a floating floor on underlay or fully bonded with floor adhesive to the subfloor. Read more about Installation here. This floor is finished with coats of hardwax oil which keeps the hardwood surface protected from stains and wear whilst maintaining a natural look and feel. Read more about how to maintain V4 products here. The Deco Collection comprises six ultra modern wood floor colours created from an oak top layer which is lightly brushed to release the natural grain. 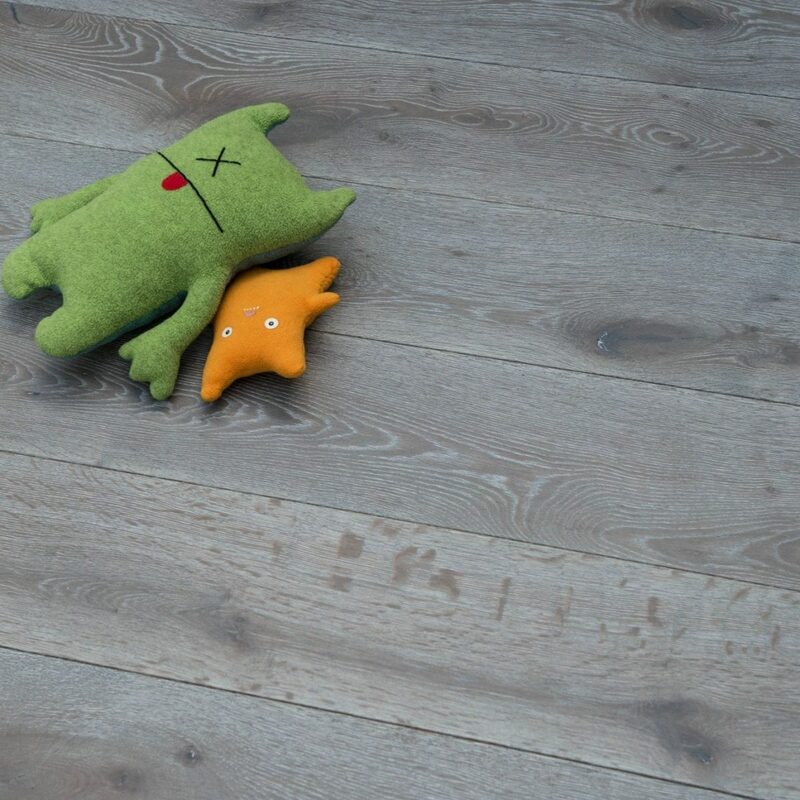 Wood lye is then applied to bleach and colour the floors to create the deep lustred and distinctive oak tones and grain variations found in the collection.